Hello! 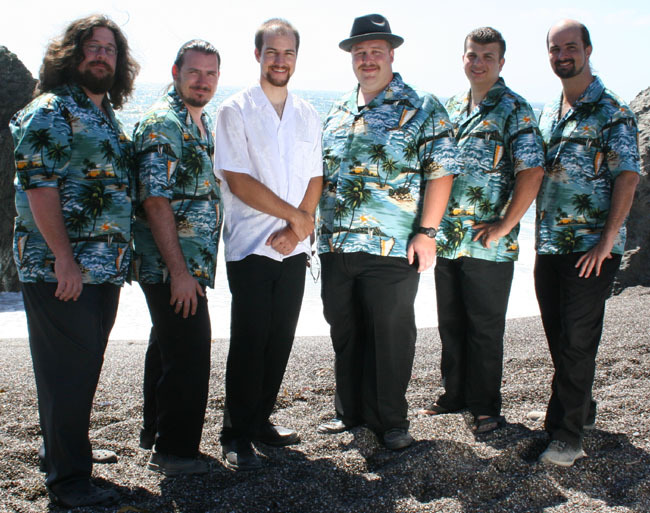 Our wedding was in July and our wedding party was outfitted by your site. We wanted to share some pictures, and they can go on your website if you'd like! 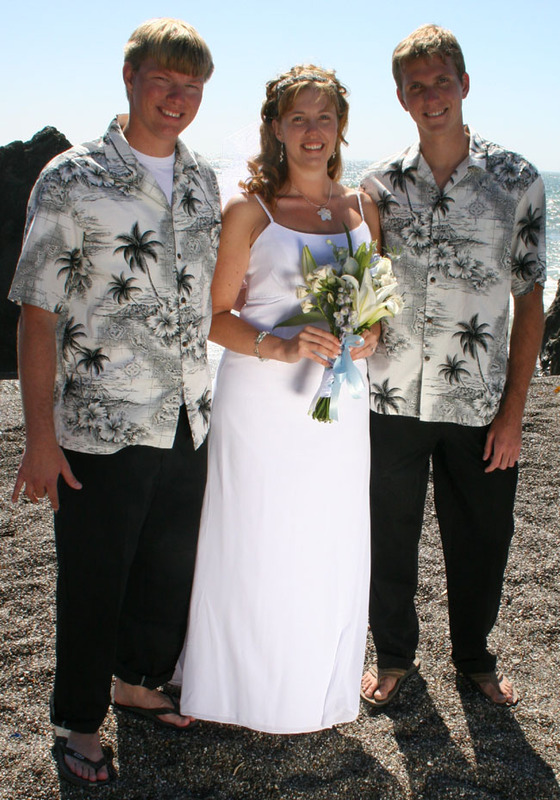 The two escorts wore Island Map Mens Hawaiian Shirts in black. 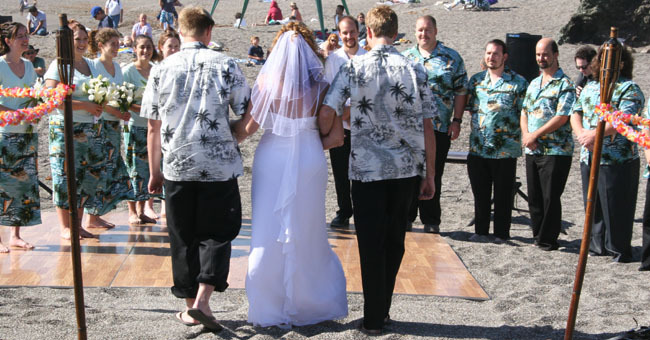 The 5 groomsmen wore Waikiki Outrigger Mens Hawaiian Shirts in teal. 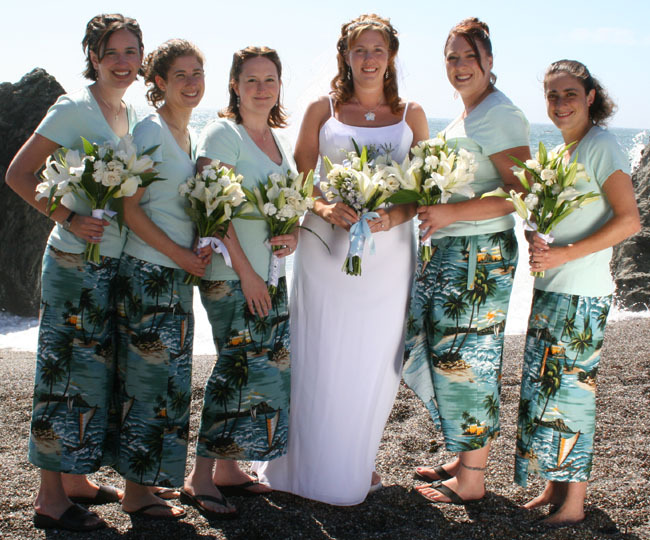 The 5 bridesmaids wore skirts made out of the matching fabric, which your website sold to me. We were thrilled with the service! We hope you enjoy the photos. Thank you again for helping making our wedding beautiful!